Migrate not only files, but “critical metadata that works behind the scenes,” including: files, folders, local users and groups, NTFS permissions, shares, attributes, settings, ownership, updated SID history. 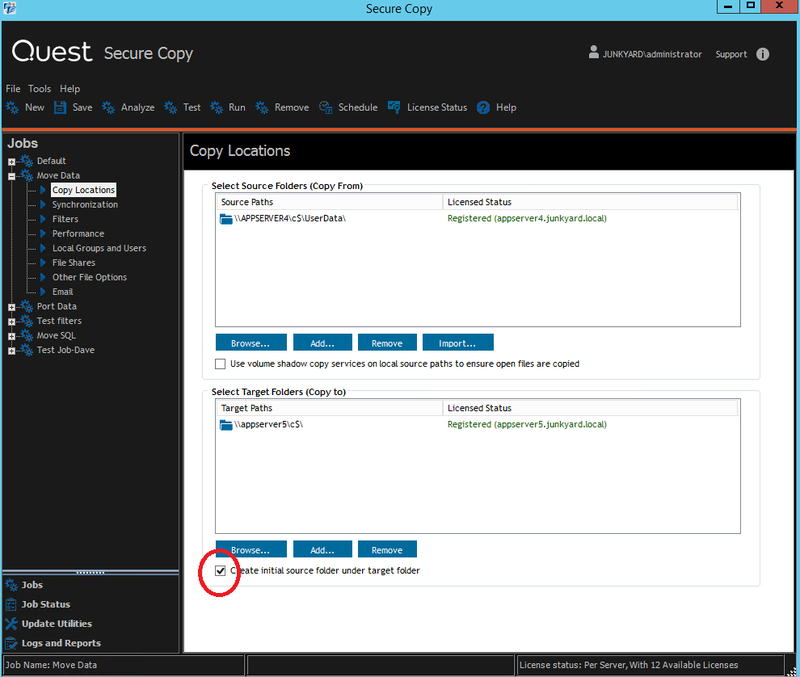 Secure Copy also ensures that security and configurations on the target server match the source server. Automate complex, tedious pre- and post-migration tasks to shorten the time it takes to complete migration projects. The product also includes update utilities that allow you to update user and file information without having to update each user account in Active Directory. Manage data migration projects with a wide variety of reports, to ensure a job well done or catch a problem that would have otherwise gone unnoticed. Secure Copy’s reports include copied files, failed jobs, migration analyses, skipped files and easy-to-scan dashboards. Track job status with at-a-glance graphs and gauges, including performance, migration status by file type and more. Get post-migration statistics on migrated data, helping maintain the security and control needed even for highly regulated environments. If you'd like to have a chat with us about Secure Copy, please select this option. If you'd prefer to email or phone us, our details are also here.